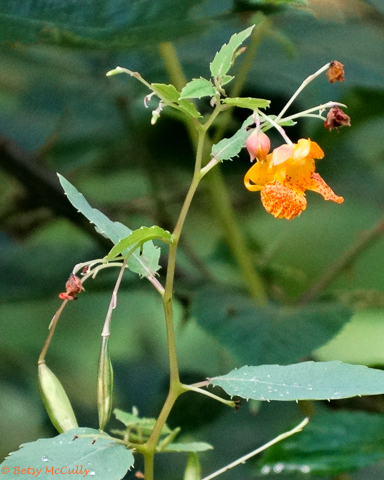 Spotted Jewelweed (Impatiens canadensis). Balsaminaceae. Native. Swamps, marshes, stream banks, wet forests. Throughout region. Montauk, Long Island, 2015. Photo shows pods and leaves.